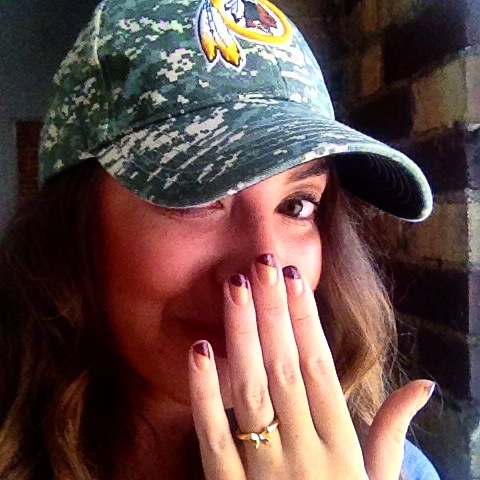 I’m a Redskins Fan – Am I Racist? Here’s why I ask: My bright burgundy Washington Redskins water bottle is staring at me from my desk in my midtown Manhattan office. It’s broadcasting to everyone that I’m a ‘Skins fan. I didn’t think twice about my fandom until a few weeks ago when I handed the water bottle to my coworker to refill. It suddenly occurred to me; Am I racist for carrying around and displaying a brand that he deems racist? This is my third football season in New York. Every year there’s an appropriate amount of jarring about how the season will pan out. In years past the biggest struggle has been scouting out a bar in Giants country that will actually play a Washington, D.C.-based sports team game. I suddenly felt very aware of passersby taking in the feathered Native American emblazoned on my camouflage hat while I walked to an East Village sports bar. In the past I would have perceived their judgments as no more than a definitive ruling on my team’s performance, but now I’m not so sure. My Washington Redskins gear is exactly what you’d expect of a girl fan – many ranges of colors with different sleeve lengths, at least two hats and, of course, drinking cups. The day of the season opener I painted my finger nails burgundy and sparkling gold. Hail no I didn’t think it was too much – I’m a fan. I know people who are racist. We all do. Until I moved out of my home country of Virginia (Redskins country) it never occurred to me that I might be one of them. My coworker is adamant that it’s an act of racism if I continue to wear Washington Redskins apparel. I disagree because I separate the individual footballers who play the games Sunday after Sunday from the umbrella of their brand. To me, it’s much the same as supporting the military even if we’re opposed to the war. The individual soldiers did not decide to go to war; they’re simply carrying out orders. Are the Redskins players not just simply carrying out the job for which they were hired and paid handsomely for? Using this reasoning I don’t think it’s fair to expect me to turn my back on my team. The Washington Redskins were formed in 1932 in Massachusetts under the name the “Boston Braves.” The next year they were rebranded the “Boston Redskins.” According to a letter written by Redskins owner Dan Snyder, the team had four players and a head coach who were Native American at the time. “The name was never a label. It was, and continues to be, a badge of honor,” he wrote to fans in October 2013 when calls for the name change were rife. He backed up this claim with polling responses. “The highly respected Annenberg Public Policy Center polled nearly 1,000 self-identified Native Americans from across the continental U.S. and found that 90% of Native Americans did not find the team name ‘Washington Redskins’ to be ‘offensive,’” he wrote to the legion of Redskins fans. In April 2013, an Associated Press survey found that 79 percent of the respondents did not believe the team should change its name. Six months later, the Washington Post poll conducted its own poll to accompany Snyder’s statement. It showed that 62 percent of readers believed the team should change its name. The name is racist and needs to be changed. The name is racist because it is a derogatory reference to a group of people based on their skin color. The name is racist because it refers to a group of oppressed people who would not use that term to refer to themselves. The name is racist. But, the team is not. One day I believe the Washington Redskins will become the Washington Warriors – a widely accepted and acceptable name for them. One day Dan Snyder will see the frivolity in his baseless claims that the name isn’t offensive. He will see that while changing the name will hurt in the short term, it is a wise, long-term investment decision (the revenue from the sale of new merchandise alone should be incentive enough.) One day hometown Washington Redskins fans will no longer be able to deny the fallacy they’ve been telling themselves. That lie being that the name isn’t offensive and the rest of the nation has just become too politically correct. One day the fans will accept a name change after realizing they would never stand behind a team called the Washington Whiteskins. But, that day isn’t today. And it won’t be during this season and it most likely won’t be next season, either. Therefore, I will continue to support my team, the Washington Redskins, with full knowledge that I am not a racist. I will call my team by their name until it changes. It is their name. It is what they call themselves. It is what the sports commentators call them and what the NFL lists them as on the league roster. Whether it’s agreeable or not – it is their name. And in order to support the players and the team I love, I will wait to until that time comes to bench my Redskins apparel.